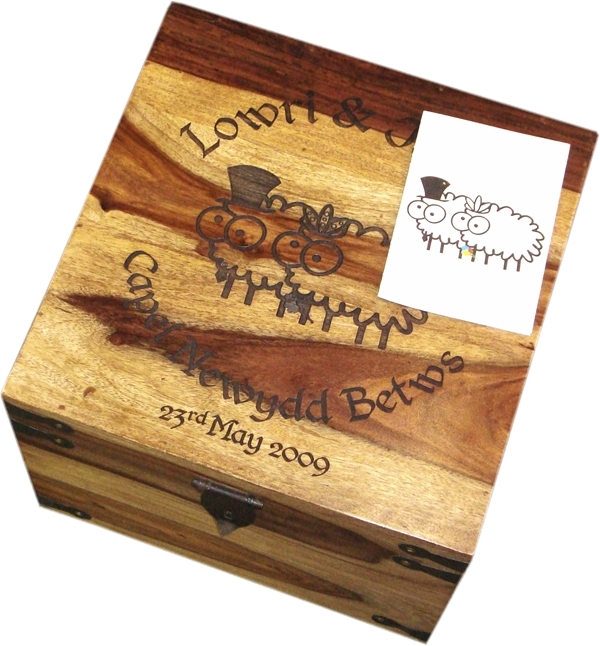 A beautiful bespoke Wedding Memories Box - a lovely rustic box individually engraved. Keep all of those wedding memories and mementos in one place. 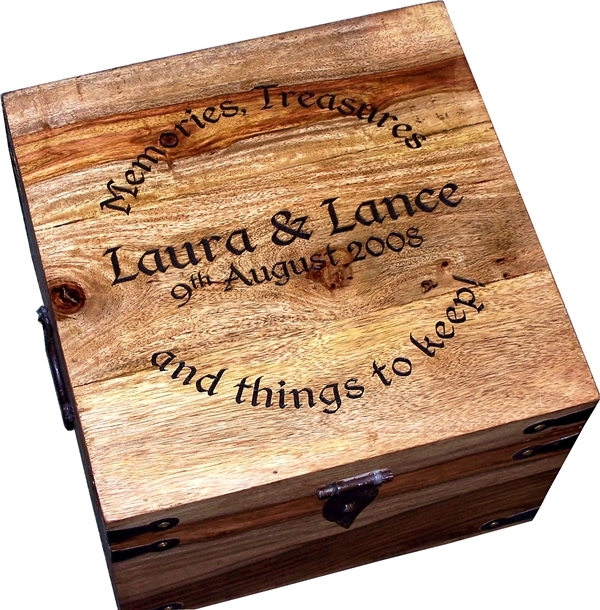 A beautiful rustic box engraved with whatever message and name(s) you want. Why not send us a copy of the invitation so that we can try to match the style of the fonts and graphics on the box. Size - Measures 13" x 13" x 10" approx.